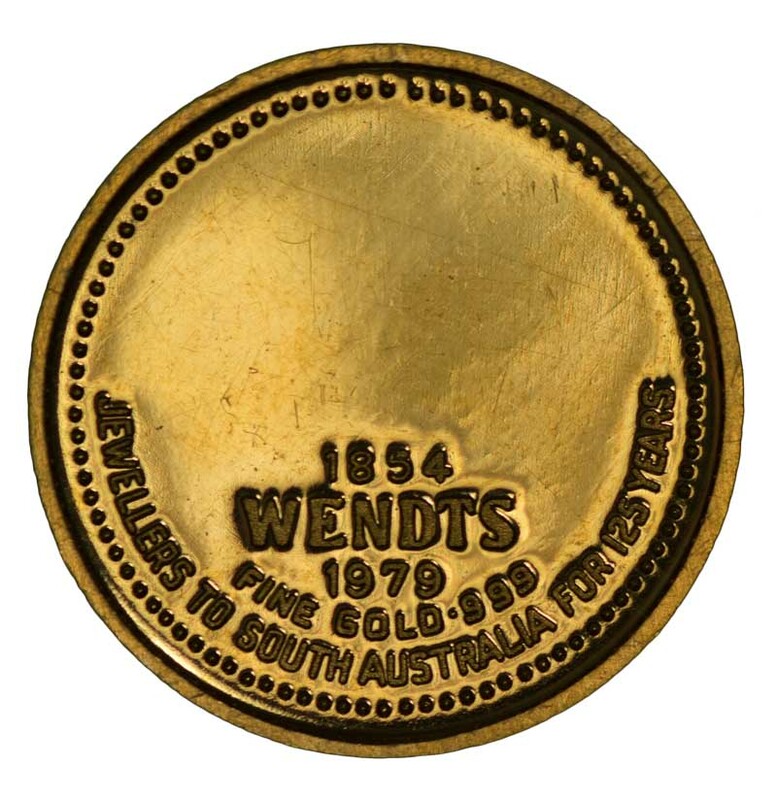 1979 Gold Medallion issued by prominent South Australian Jewellers, Wendts, to commmemorate their 125th Anniversary. 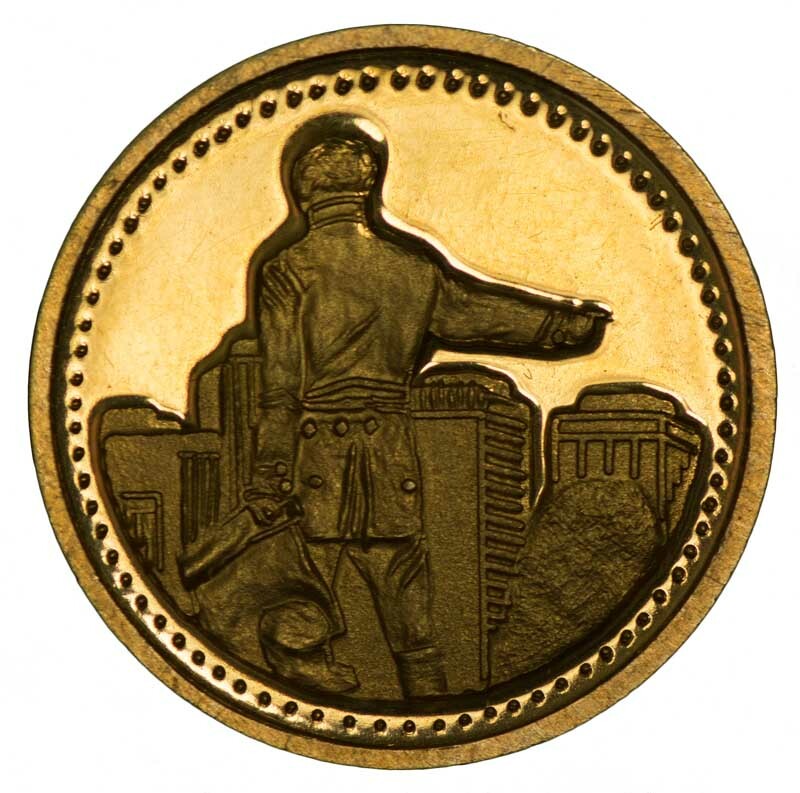 Shows Colonel Light's Statue overlooking Adelaide and contains 12.17 grams of .999 pure gold. 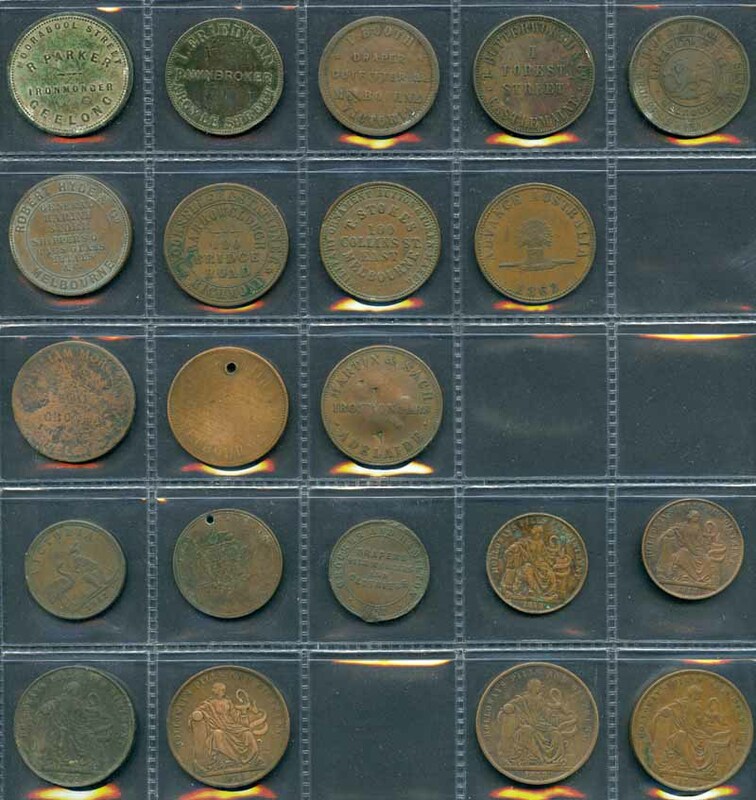 Collection of hundreds of mostly Australian Tokens, Medallions, Medals, Badges and miscellaneous items from early to modern including R. Parker Ironmonger, Geelong, 1857 I. Friedman Pawnbroker, Tasmania, I. Booth Draper Outfitter, Melbourne, T. Butterworth & Co Wine & Spirit Merchants, Castlemaine, 1857 Hide & De Carle Grocers & Wine Merchants, Melbourne, 1861 Robert Hyde & Co General Marine Store, Melbourne, 1862 Barrowclough Bookseller & Stationer Victoria, 1862 T. Stokes Military Ornament Button & Token Maker, Victoria, 1862 Jno Andrew & Co Drapers, Victoria, 1874 John Henderson Pawnbroker, Fremantle W.A., 1857 Crocker And Hamilton Drapers Silk Mercers and Clothiers, Adelaide S.A. and 1857 and 1858 Holloway's Pills and Ointment, London (6) Tokens. 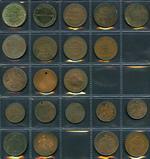 Varied condition and some duplication.